In what could have just been another great April Fools joke, Bethesda has announced that Rage 2 will include a special cheat code called "He's On Fire" when you pre-order the upcoming Avalanche Studios developed shooter. While the timing of the announcement coincides dubiously with April Fools, a day the video game industry embraces to mixed effects, Bethesda has assured the folks at Polygon that the announcement is in fact "100% real, it is not a prank." Inputting the special code for "He's On Fire" will allow players to enjoy colourful commentary from none other than legendary NBA Jam announcer, Tim Kitzrow. The announcement trailer below features some classic lines, including the classic "boomshakalaka" and "whoop there it is!" along with a bunch of Rage specific lines including "you just sliced her head right off!" We're unsure at this stage as to how many lines of dialogue have been recorded, so there's no telling how quickly the novelty of the colourful commentary will wear off. I can see myself playing with it a bit, but it may start to wear a touch thin after several hours. 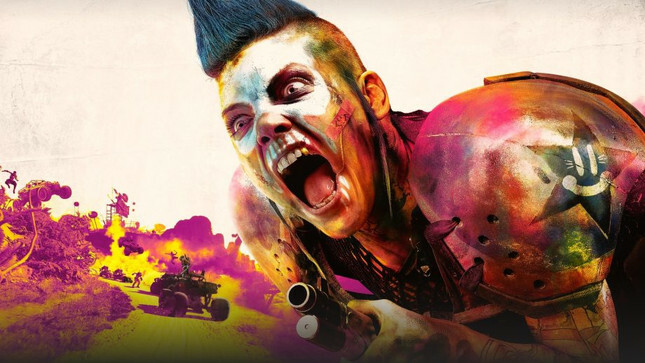 It's great to see the developers doubling down on the absolute insanity of Rage 2, and I for one would love to see other developers following suit, with unique pre-order incentives outside of the typical boring cosmetic DLC or exclusive missions. Check out the bonkers trailer below and let us know if you'll be playing with the commentary on or not!